Applications must be submitted by 5pm AEDT, March 4, 2016. 4. Motivate your students to write - offer to publish their stories! Pic top left l to r: Michele Sutcliffe, SACAL; Jenny Seaton, TCAL; Pam Osmond, NSW ALNC. 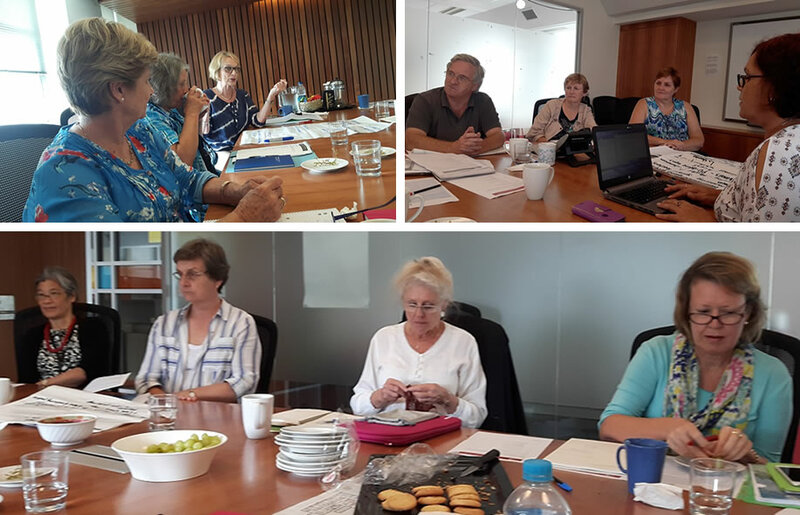 Pic top right l to r Don MacDowall, Admin; Ann Kelly, QCAL; Jenni Anderson, ACAL President; Vicki Hartman, ACAL Secretary. Bottom pic l to r: Keiko Yasukawa, ACAL Vice-President; Rhonda Pelletier, VALBEC; Margaret McHugh, WAALC; Yvonne Webb, NTCAL. Behind the camera: Lorraine Sushames, ACAL Treasurer. Please let me know if have any feedback, questions, suggestions or issues that you would like ACAL to consider addressing by emailing info@acal.edu.au. This year our ACAL Conference Scholarship is to support an Indigenous adult literacy and numeracy practitioner to attend the 2016 conference to develop their practice and networks. Please spread the news and the application form to people who might like to apply. ACAL's 'Stories of Resilience' project is all about adult learners sharing their own stories of overcoming challenges through learning. The good news for this project is that your learners now have until 30 April 2016 to share their stories with the world. Many adult learners have found it motivating to share their stories with a wider audience - what about your learners? We are looking for stories about resilience in adult learning. Your students may have already written something that could be adapted or re-drafted. We'll accept written or spoken text, audio or video. This could be a good way for people to revisit last year's work, or a brand new writing project for the whole group. Join with us in this celebration of the learning journeys of our adult learners. ACAL membership individual and organisation cost will increase by the Wage Price Index of 2.5%. This small incremental increase will prevent any future large increases. Membership fees allow ACAL to provide ACAL eNews, member rates for conferences, and professional development opportunities such as webinars. This year webinars will continue to be free to members and there will be a cost to non-members to attend. Invoices will be sent shortly or you can online and pay immediately. 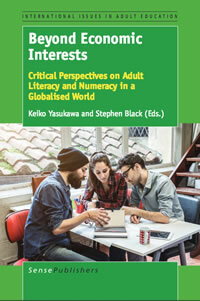 Beyond economic interests: critical perspectives on adult literacy and numeracy in a globalised world: Keiko Yasukawa & Stephen Black (Eds). 2016. Sense Publishers. Many readers will be pleased to hear that the Reading Writing Hotline has recently had a regeneration and is again being staffed by an enthusiastic team of qualified and experienced LLN teachers. A new manager has also been appointed; Vanessa Iles, who likewise is a qualified LLN teacher with wide experience in this and related fields. TAFE Sydney Institute has administrative management of the Hotline which has been re-located to Ultimo campus in readiness for a busy year ahead reviewing and updating the database of providers. This is a really pleasing development; in a climate of otherwise bad news for our field, since the Reading Writing Hotline is perhaps the only federally funded program (apart from SEE and its precursors) that has received ongoing funding for 20 years. Vanessa is urging providers to make some time at the beginning of the year to ensure their details are included on the database, and if so, that these details are updated and accurate. To do so, please call the Hotline on 1300 6 555 06, or email for a provider detail form to rwhotline@det.nsw.edu.au as it is vital to the success of Hotline referrals that they have up to date information about all providers.